Out of all the (religious) holidays, Easter is definitely my favorite one. I've always loved how uplifting and refreshing it felt. The themes of renewal, new beginnings and celebrating life were always appealing to me. 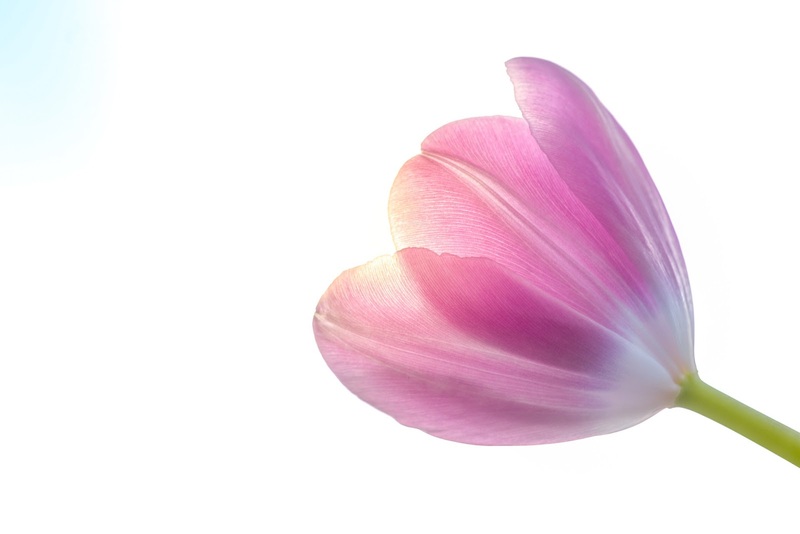 Plus, I'm in love with spring, and Easter celebrates all things spring (think tulips, daffodils, babies, etc). But there is one problem with Easter: All the dang plastic! Just like most holidays, waste is amplified through plastic Easter eggs, plastic wrapped baskets, plastic Easter grass and so much more. There's a part of me that wishes I could go back in time to celebrate Easter like my grandmother did, just to avoid all the plastic. That said, celebrating a zero waste Easter (in modern times) certainly is possible, which is why I decided to create this blog post. I know how discouraging it can be to see all the plastic around you and feel almost powerless to fight it. But you can, and I'm here to help! Think of this post as a guide to get your creative juices flowing. 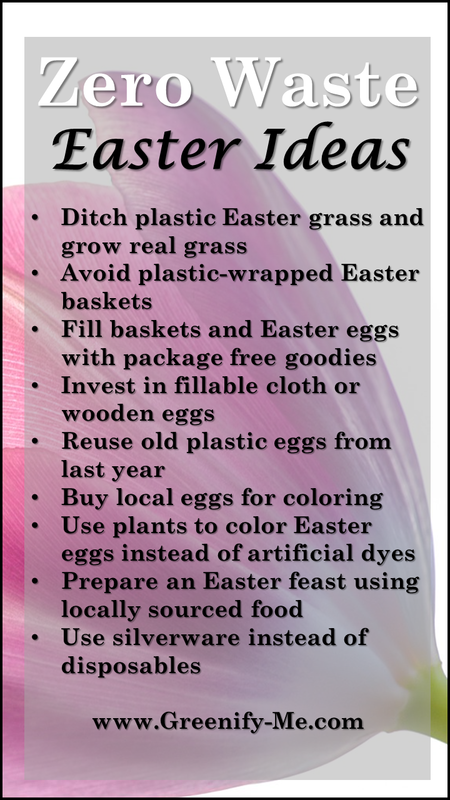 Whether you're hosting Easter at your house this year, or attending a party somewhere else, here are a few zero waste Easter ideas to make the day a little less wasteful. Also, just as a heads up, I do have one affiliate link in this post, but it's nothing I wouldn't buy myself. Now without further ado, lets celebrate Easter the zero waste way. If you have little ones in your family, you're likely to be buying (or making) a few Easter baskets this year. 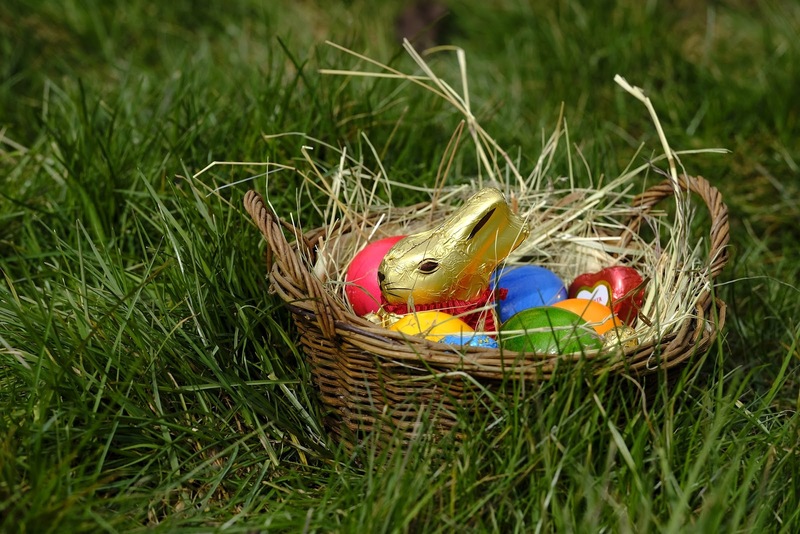 Here are a few ideas on how to make some zero waste Easter baskets for your loved ones. Easter grass: Plastic grass makes a mess, ends up in the landfill, or clogs water ways. This is bad for the environment and wild life which can mistake it for actual vegetation. Skip the plastic grass in your basket this year and try growing real grass instead. If you don't have time to grow real grass, just use shredded paper or straw instead (it's completely compostable at the least). You could also try lining the bottom of the basket with pretty lace or tea towels, both of which can be reused in the house again and again. Baskets: Avoid purchasing (or making) an Easter basket wrapped in see-through plastic. It's ridiculously wasteful and gets thrown out automatically anyway. Instead, find a cute basket that could be reused over and over again (preferably one that's not made out of plastic). Even if the basket is being made for a child, think about the parent in advance: Will they be able to reuse this basket for something, or just throw it away? Look around your home for a basket or bucket before going out to buy one. If you want to get really creative, replace the basket idea altogether by using a ceramic pot or reusable tote bag. If you've got enough skill, you could always try to weave your own baskets - that would be a gift in and of itself! Basket goodies: Filling the Easter basket up usually involves a lot of cheap plastic toys and candy with lots of packaging. Instead, consider putting some of these plastic-free treats inside your basket this year: Homemade candy or candy bought package free from bulk bins, homemade baked goods or package free baked goods from a local bakery, wooden toys, experience gifts, seeds, a potted flower, secondhand spring or summer clothing, DIY sidewalk chalk, DIY crayons, or homemade toys. If you can't find candy in bulk, for whatever reason, look for those chocolate Easter bunnies or eggs that come wrapped in foil. The foil is made out of aluminum which can be recycled infinitely - just make sure to ball it all up together before adding it to the recycling bin. Alternative option: You could also forego the Easter basket entirely. Totally up to you! Plastic eggs filled with goodies are popular come Easter for scavenger hunts, decor and Easter baskets. Unfortunately, most of them just end up in a landfill due to their un-recyclable nature. Instead, why not go with a more eco-friendly alternative? Fillable cloth eggs: You can buy or make your own fillable cloth eggs, if you're feeling crafty. These are great if you have little kids because they can't hurt themselves while playing with the eggs (they're so soft!). Plus, they're really cute to look at. Fillable wooden eggs: These can be decorated or left plain, and filled with all sorts of goodies. The great part is that they'll last for years to come, but can be composted if need be. 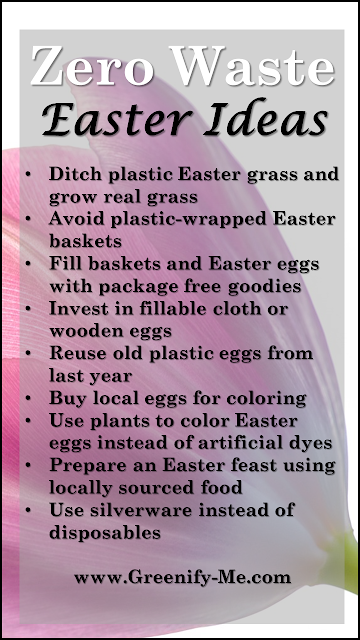 Reuse old plastic eggs: If you don't feel like going out and buying wooden or cloth eggs just yet, reuse what you already have (and don't buy any new plastic eggs). Phase them out for a more zero waste option next year, or as they break. Easter egg goodies: Regardless of what sort of eggs you use, if you intend to fill them with goodies, make sure they're plastic free. Here are a few options that will fit into an egg: Money, bulk candy, secondhand small toys, tickets, homemade candy, dried fruit, crystals/gems, crayons or chalk, seeds, zero waste lip balm, DIY play dough, seashells, or coins. Easter egg hunt: If you decide to do an Easter egg hunt, the fillable wooden or cloth eggs work great. However, if you decide to go to a community or church event, make sure to turn the eggs back in (they'll probably use plastic eggs). More than likely, they'll reuse the eggs again next year. 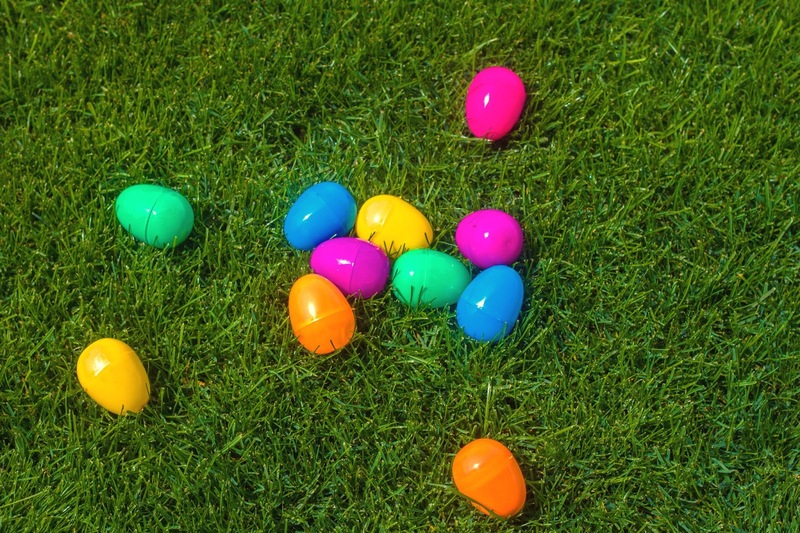 Alternative option: Eliminate eggs (plastic or not) altogether and just hide the candy (or other goodies) around the house for kids to find in fun places. For me, coloring eggs is one of the most enjoyable activities. I'm not sure why, but I've always loved it. Now, I love it even more because I only use natural dyes to get the job done. Use local eggs: Instead of buying eggs from the supermarket this year try buying locally from a farmers market. You can also see if anyone near you keeps chickens and sells their eggs too. This is important because most of the white chicken eggs you find at the supermarket come from factory farms where the hens are crammed in small cages and treated terribly. Most local eggs are brown, but you can still color them. 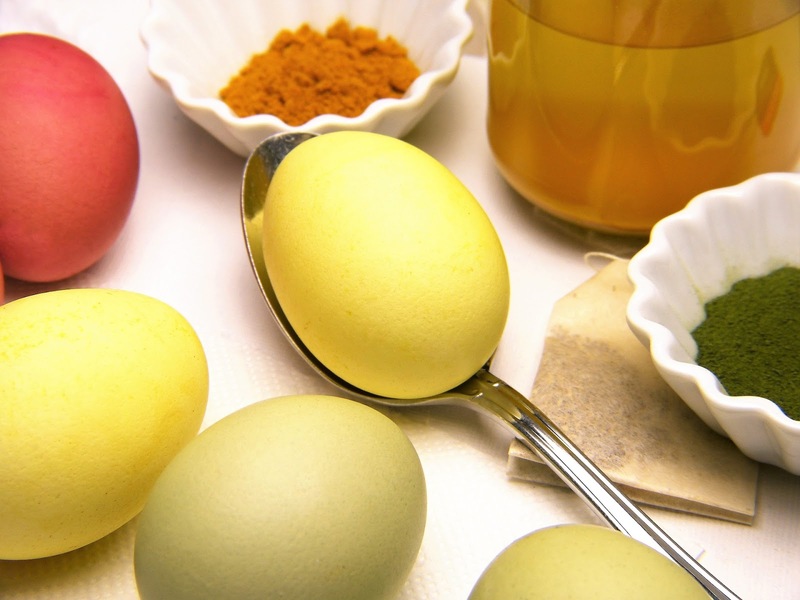 Color eggs using plants: Instead of using artificial food coloring or dye kits to color eggs, try using natural foods and spices. Believe it or not, plant dyes are very effective at coloring eggs (and other things): They just take a little more time to take effect. As a general rule here are the plants needed to make different colors: Beets for pink, turmeric for yellow, yellow onion peels for orange, purple cabbage for blue. If you're using brown eggs, these plants may create different colors (ex: Beets used on brown eggs may turn them more of a red color while purple cabbage may turn them more green). Have fun experimenting and see what happens! There are so many great online tutorials out there. Just remember to buy the ingredients you need as package free as possible using produce bags or via the bulk bins. Compost egg shells: When you're done eating the eggs, make sure to compost the remaining egg shells! You can also grind up the remaining shells and use them as fertilizer in your soil. Totally up to you! Alternative option: Forego the egg coloring altogether - this is a good option for vegans. Instead, perhaps you can use plants to dye scraps of fabric - you can let your kids help you dye them too. Once the fabric is dyed the color of your choice and dried, place some loose candy or other small goodies in it and tie it closed using a spare ribbon. You can stash these cute goodie bundles around the house in lieu of an Easter egg hunt. No matter how you celebrate Easter, you'll likely end up eating at some point. To have a zero waste Easter, it's important to prevent food waste as much as possible and avoid disposable silverware (if you can). Here are some tips for both hosting and going to an event. If you're hosting an event: Do your best to purchase local produce for the feast you're setting up. You can get some great seasonal, local produce at the farmers market. Make sure to bring your reusable produce bags and tote bags with you to purchase everything plastic free. If you don't have a farmers market near you, do your best to buy package-free organic produce at your local grocery store. While cooking, compost any food scraps you create instead of throwing them in the trash. Whatever you decide to cook, set the table using reusable cups, plates and utensils. Better yet, include some pretty reusable cloth napkins at each seat. 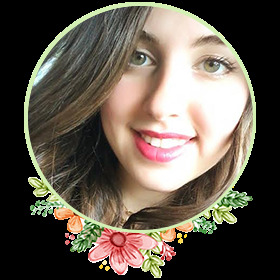 You can probably get some really cute Easter themed ones on Etsy, or local stores like Home Goods or Francesca's (my personal favorite store for reusables - they always have the cutest stuff). 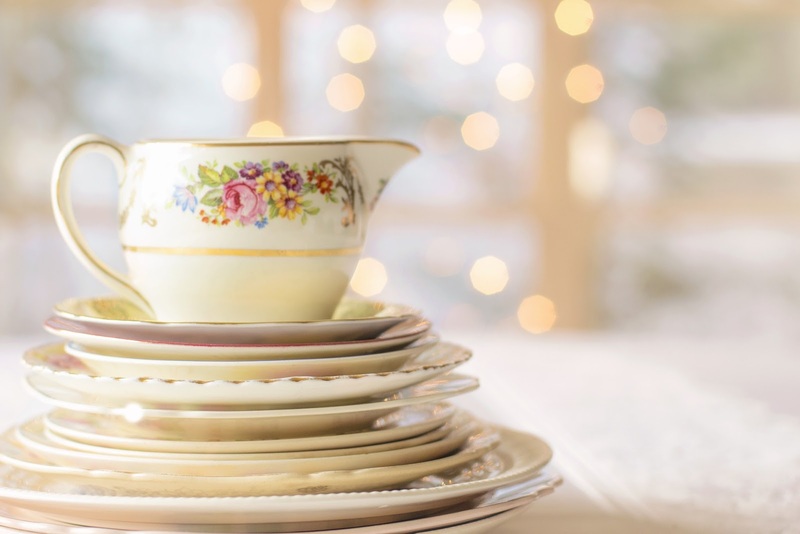 If the idea of cleaning all those dishes irks you, enlist the help of one or two guests to get the job done. If you get stuck with leftovers, ask your guests if anyone would like to take some home with them. Whatever you get left with, use up in dishes throughout the following week. If you're going to an event: You don't have as much control here as you do with hosting your own event, but that's okay. 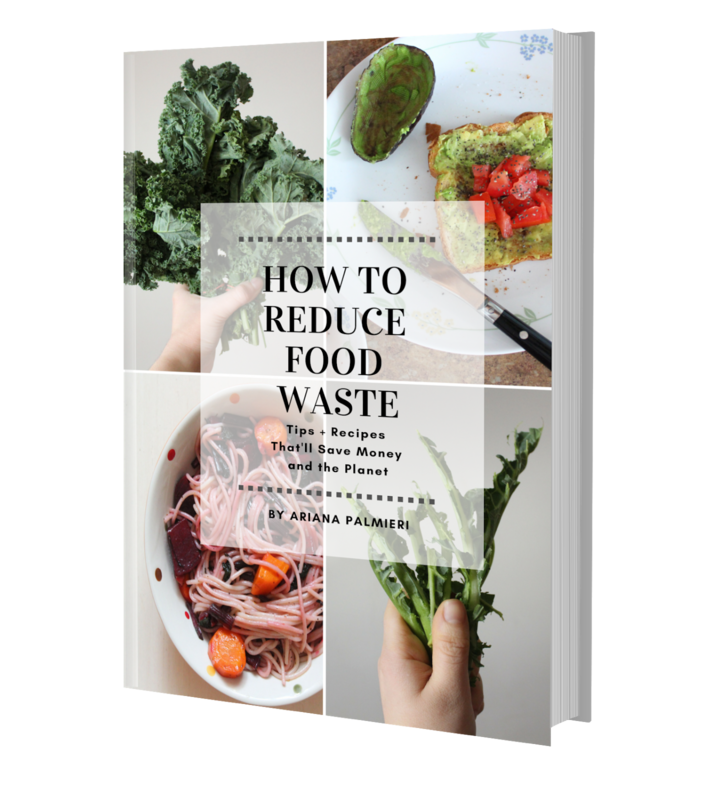 If the hostess allows you to, ask them if they'd like you to bring anything - if they say yes, choose to prepare a zero waste dish by buying the ingredients as package-free as possible. Bring it in a reusable glassware container, big mason jars, or Tupperware (if that's all you have). Try to avoid using any plastic wrap or aluminum foil to cover whatever you decide to bring. If a dish isn't required, consider bringing the hostess a zero waste gift like plastic-free locally grown flowers, pretty tea towels, wine, olive oil, baked goods, etc. It's a nice way to say thank you for the invite. Also, since you don't have control over what silverware is used at this event, ask the hostess if you could use a reusable plate, cup and utensils while you're there. Offer to wash them off yourself when you're done with them, so they won't have any extra work to do. I've done this before several times and never had a problem. 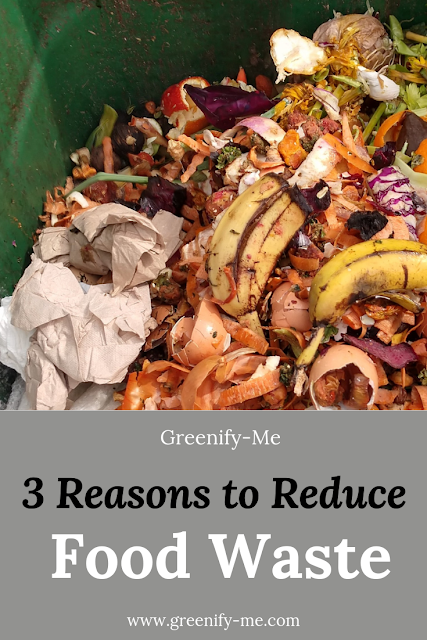 At the very least, you'll be saving one extra plastic plate, cup and utensil from ending up in a landfill. You can also bring your own reusable water bottle or travel mug and use that instead of one of the hostess' cups. I advise bringing your own reusable napkin to use as well, since the hostess probably won't have one of these on hand. Just stash it in your bag or car and grab it before you head into the party. Alternative option: Go out to eat with the family at a restaurant that prepares locally sourced (or organic) food and offers reusable plates, cups, utensils and napkins. Make sure to take any leftovers home if you have any! 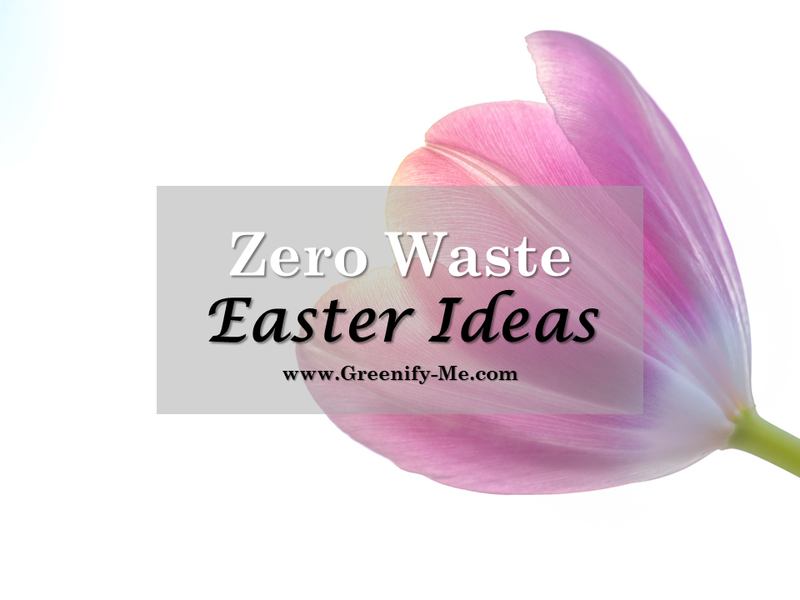 What are your favorite zero waste Easter ideas? Share your tips and tricks in the comments below!